We are manufacturers of packaging, washing, cleaning, filling, labeling, Inspection, conveying, printing machines etc. We are one of the leading manufacturers of a comprehensive range of pharmaceutical machines and equipment. These pharmaceutical machines are fabricated from qualitative range of steel, casting, machinery parts and many others. Our pharmaceutical machines are supplied to various parts of the globe and widely acknowledged for its durability, sturdiness and corrosion resistance. 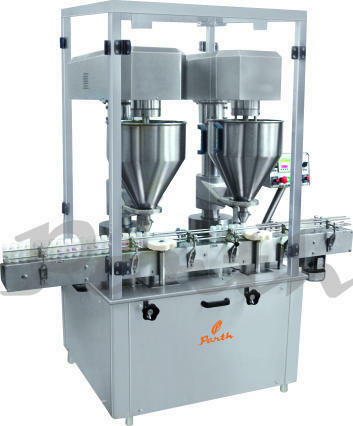 Our assortment comprises pharmaceutical packaging machines, pharmaceutical filling machines, powder filling machines, pharmaceutical labelling machines, capping machines, etc.